How bad was the call? Former head of NFL Officials Mike Pereira (who almost always sticks up for the officials on Fox) tweeted, “Horrible way to start the playoffs. I hate to say it but this was not a good performance by the crew. Teams and fans deserve better” (Frank, 2018). You think? Here is the part that the NFL needs to explain – why in the world was Triplette officiating a playoff game? 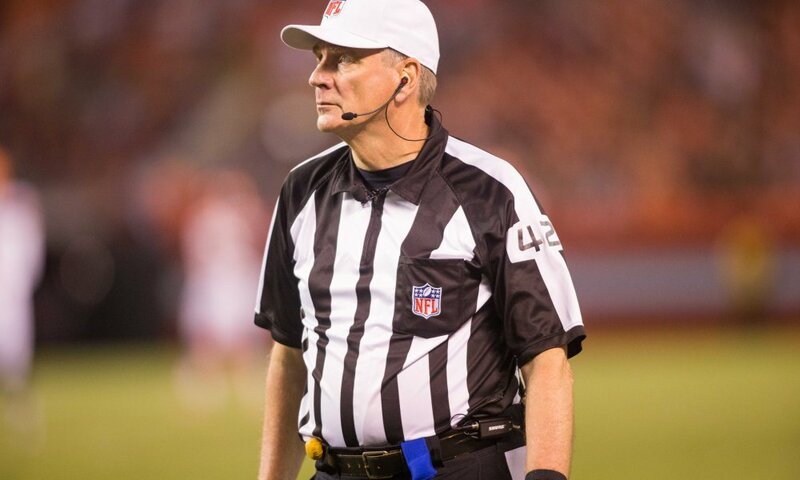 In an article on Sportsnaut, sportswriter Vincent Frank made the following statement, “Triplette has a reputation around the NFL as being one of the worst officials” (Frank, 2018). The NFL only needs four crews for the playoffs, why would “one of the worst officials” be assigned a playoff game? I guess the NFL chooses to award mediocrity in their officials just like they do with head coaches. The other thing that really bothers me is the statement, “that is not reviewable.” Why in the world would anything not be reviewable? Does the NFL only want to get some of the calls correct? The words “not reviewable” should be eliminated from the vocabulary of NFL officials. Whether the team we are rooting for wins or loses should be decided by the players not by incompetent officiating. I realize that “incompetent officiating” is redundant. Incompetent officiating seems to be the only officiating we have in the NFL in 2018. They need to have full time officials who are not eligible for social security for starters. We should never see a graphic that so and so has been an NFL referee for 30 years – they cannot keep up with the speed of the game. Full time officials is the long term solution, for the short term, the NFL could start with two simple steps. First, everything should be reviewable. Second, someone with the “reputation around the NFL as being one of the worst officials” should NEVER be involved in a playoff game. There were four games last week, four this week, two next week, and the Super Bowl. That means they only need a total of four crews for the entire playoffs. Certainly, the NFL can find four competent referees – on second thought . . .
Frank, V. (2018). Maligned NFL official Jeff Triplette to reportedly retire. Sportnaut. Stephen L. Butler, Ed.D., is the Dean of Academic Affairs at the United States Sports Academy, and can be reached at sbutler@ussa.edu.